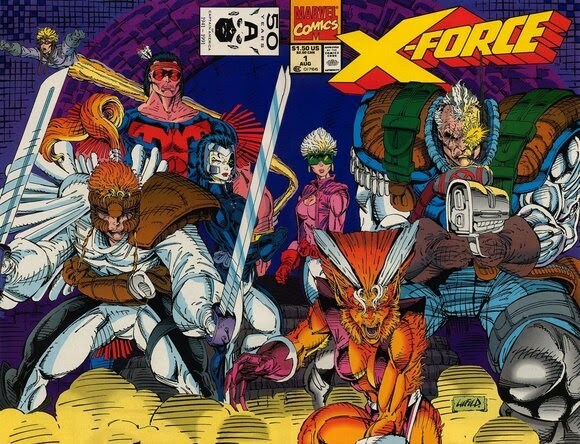 It's A Dan's World: The New Uncanny X-Force: Psylocke, Archangel and is that Storm Shadow? 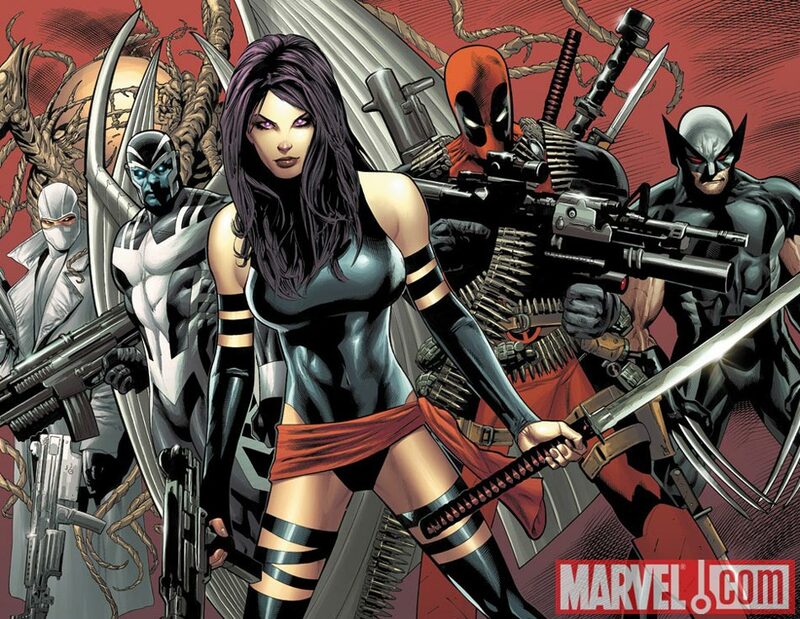 The New Uncanny X-Force: Psylocke, Archangel and is that Storm Shadow? 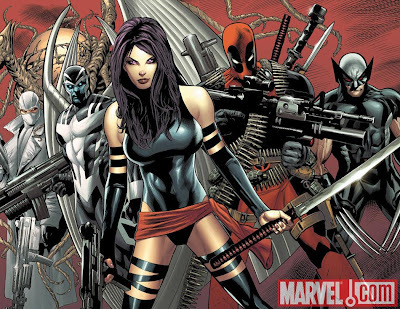 You don't have to stop in on It's A Dan's World long to know that I have a pretty mad thing for the X-Men's Psylocke. While the ninja-trained telepath can often come out seeming like a bit of a round peg in a square hole on the regular X-Men teams, today's news she will star in Wolverine's new Apocalypse hunting, Uncanny X-Force ongoing series is made even sweeter by the fact she'll be back side-by-side with her ex and fellow ultra-cool X-Man, Archangel. This team, which debuts in X-Men Second Coming #2 (before Uncanny X-Force #1 strikes in October) completely suits Betsy's character, and will be an proving ground for what a weapon she and her powers are. Heh, who hasn't got a "mad thing" for Psylocke and her gloriously bonkers costume. Ha - good point Robert! I mean it's a latex suit with a big freakin' sword (nowby referred to as B.F.S)! Glad I'm not the only one that suffers the same addiction!